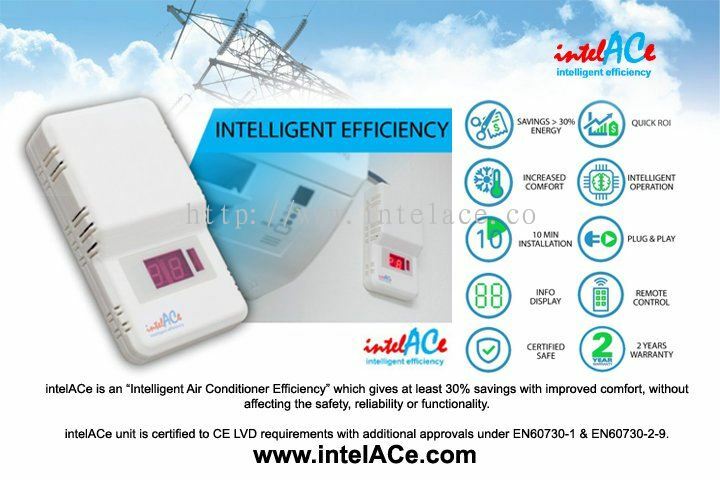 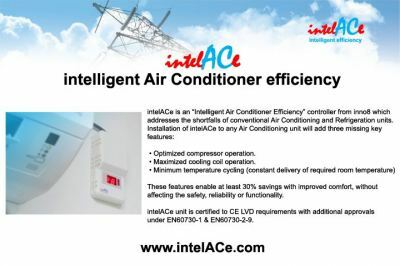 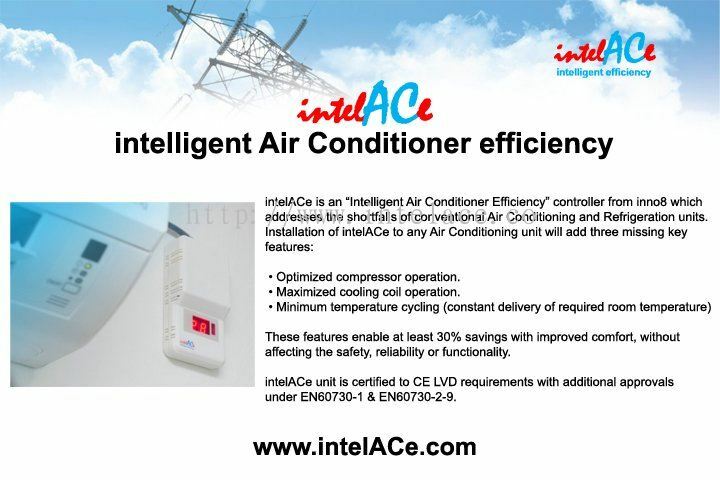 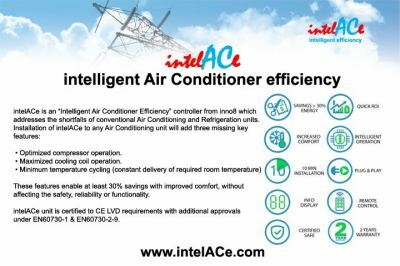 intelACe - intelACe is an Intelligent Air Conditioner Efficiency controller from inno8 which addresses the shortfalls of conventional Air Conditioning and Refrigeration units. No. 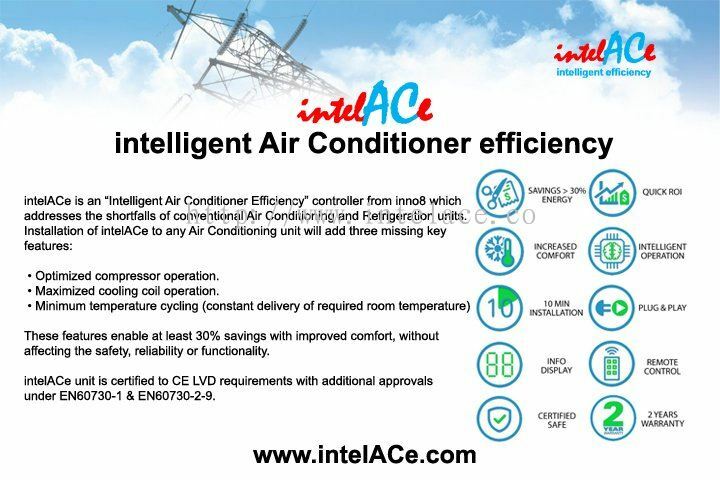 3, Eishita, Ashokvan, Dahisar (E.), Mumbai 400068, India.